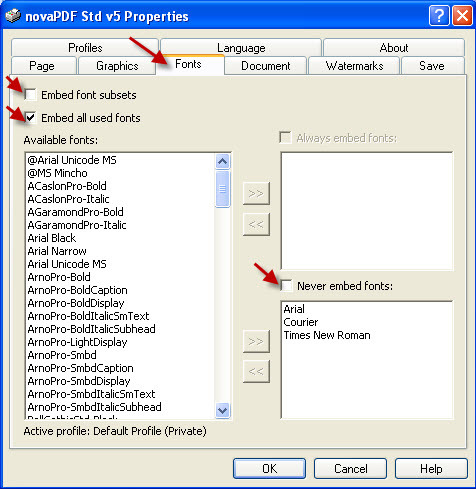 novaPDF is a PDF converter that creates PDF files from any Windows application that supports printing. It is a virtual print driver; that is, it prints to a file rather than to paper. You use it just like you would use a printer, except that you get a PDF file rather than a printed document. I chose this software based on its low cost ($29.95) and its ease of use. It is available for downloading at www.novapdf.com. Be sure to record your ISBN and EAN numbers on your copyright page before you convert your Microsoft Word file to a PDF file. Procedure: Open the Word document that you want to convert to a PDF file. Click on the "Office Button." Click on "Print." The print dialog box will appear. Click the Down Arrow in the Printer Name box. 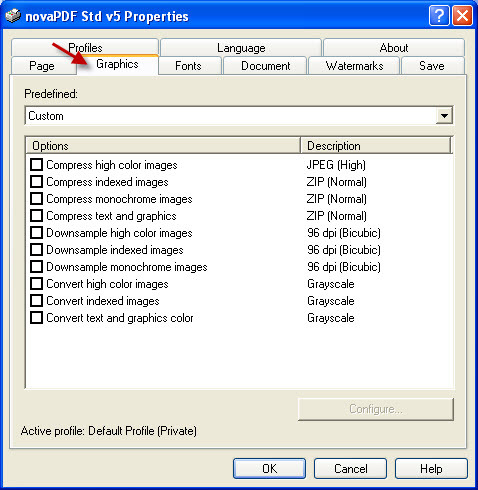 Select the novaPDF virtual printer. Click on the Properties button. The properties dialog box will appear. The Page Tab will already be selected. Click on Custom in the Page Size box. Change the Units to Inches and enter the Width and Height of your book. Click on Portrait in the Orientation box. Set the Resolution to 300 dpi and the Scale to 100% in the Graphics box. On the Graphics Tab: Deselect all of the boxes. You do not want novaPDF to do anything with your graphics. Select Embed all used fonts. 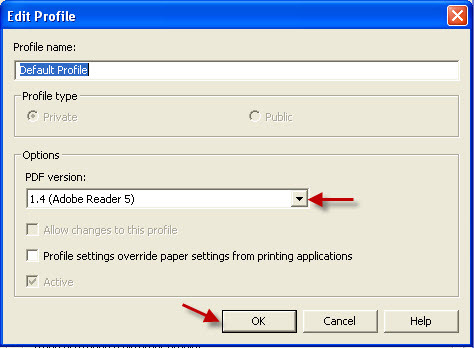 Click the Down Arrow in the PDF version box, and Select 1.4 (Adobe Reader 5). Click Ok. The Properties dialog box will return with the Profiles Tab selected. In the Properties dialog box: Click Ok. The Print dialog box will appear. In the Print dialog box: Click on Ok. 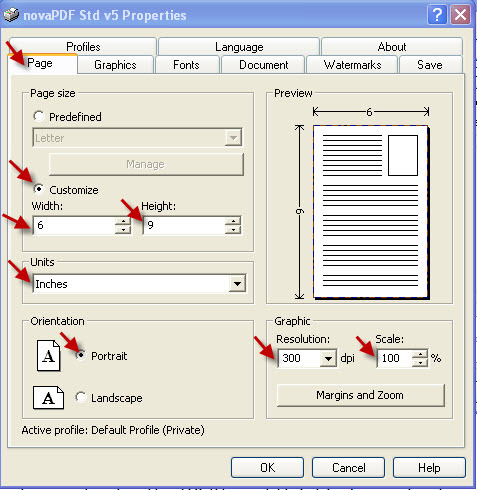 The Save PDF File As dialog box will appear. 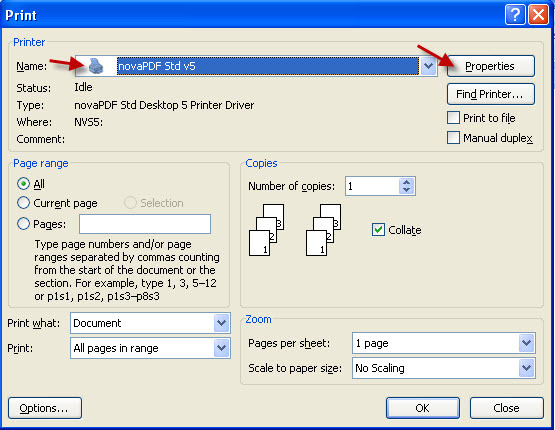 Select the folder where you want the PDF file to be saved. 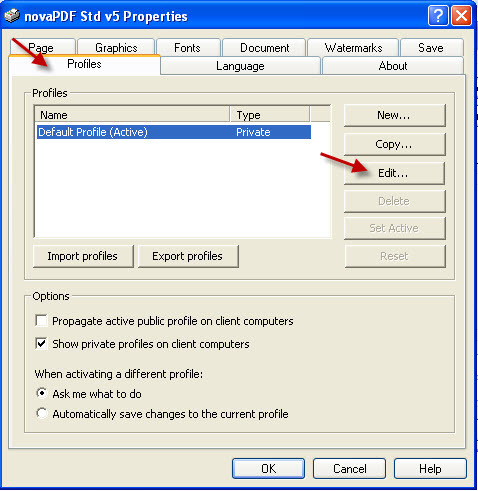 Leave novaPDF and return to PDF.